Earlier this week I posted the Spring Showers Rain Jacket that I made for my Big Boy. Did you love it as much as me?? One of the reasons I was so pleased with how it turned out was my fabric choice for the outer layer – a polyester knit PUL sourced from Greenbeans Australia. 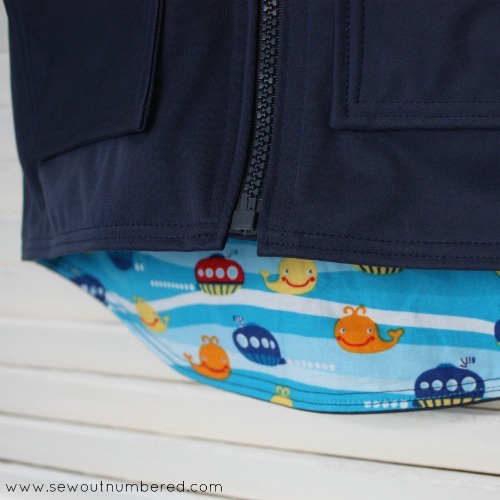 Seriously, this stuff is awesome for making any sort of wet weather gear, swimming bags, modern cloth nappies and washable breast pads like the ones in my tutorial here. Do you know of any other uses? Please share if you do – I’d love to hear them. 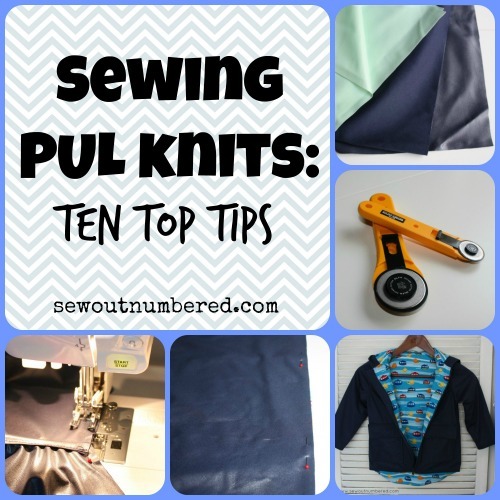 Sewing with PUL can be a bit tricky at times so today I’m sharing some info about this fabric and how to use it. PUL is an acronym for Polyurethane Laminate. 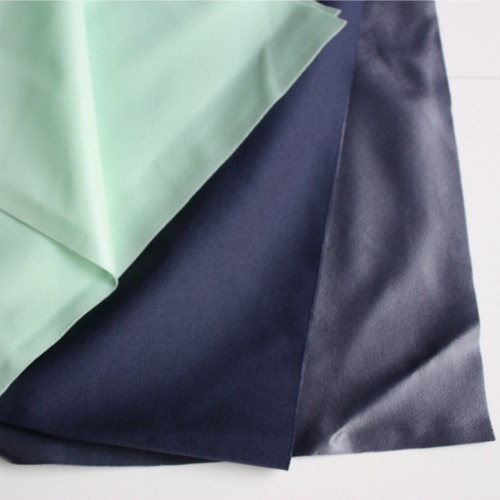 Essentially it’s a waterproof laminate layer that is adhered to another fabric. You can often find laminated cotton in fabric stores, or buy the laminate yourself and make your own. In my case, the fabric I used was a laminated polyester knit and rather than the laminate layer being on the top of the fabric (as with most laminated cottons), it’s on the wrong side. This means you don’t even see it from the front. I personally find this type of PUL fabric a lot softer and lighter than laminated cotton and it was a perfect choice for the rain jacket. PUL made with polyester knit won’t shrink so you don’t need to pre-wash – hooray! PUL knit is notoriously slippery to work with so cutting with a rotary cutter is a great way to avoid the fabric moving while cutting. Any holes you pierce in the fabric will puncture the waterproof layer so you want to reduce this as much as possible. 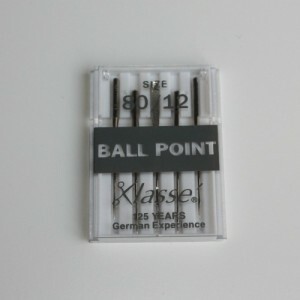 This will ensure that rather than piercing holes through the fabric, the needle will enter the fabric between the fibres. 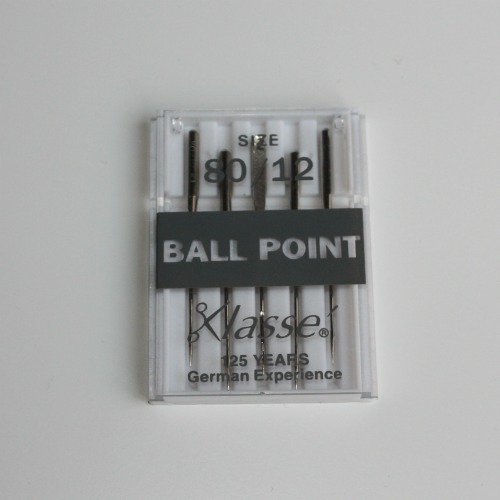 I personally use Rasant 120 and find it excellent but any other quality brand like Gutermann or Aurifil should do the job just as well. 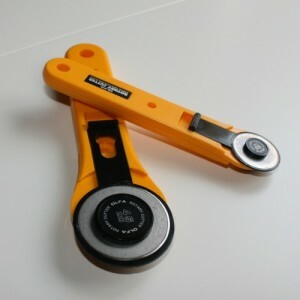 The laminated side of the fabric can be quite sticky on your presser foot so by using a walking foot, the feed dogs on the foot and your machine will work together to feed both pieces of fabric through evenly. If you don’t have a walking foot (get one you won’t regret it!! ), you can sew with the laminated side underneath, or sew with a piece of tissue paper or baking paper on top of the laminated side. This will stop the laminate from sticking to your presser foot and when you’ve finished your seam, just rip it off. 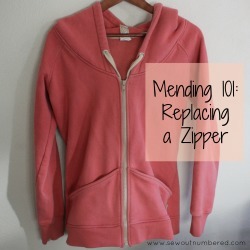 7) Use a straight stitch but increase the stitch length and reduce the tension. Be sure to have a practice on a scrap piece of PUL first to ensure you find the perfect stitch length and tension for you and your machine. Be VERY careful when pressing your seams as the laminate will melt if your iron is too hot. 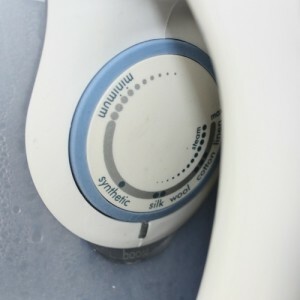 I had mine on the silk setting (the one above synthetic) but please don’t go any higher than that or there’ll be tears. Also, be sure to only press on the non-laminated side of the fabric. Some info I found recommended not to iron at all but because I was sewing a cotton lining, I really needed to. Perhaps avoid ironing if possible just to be safe. 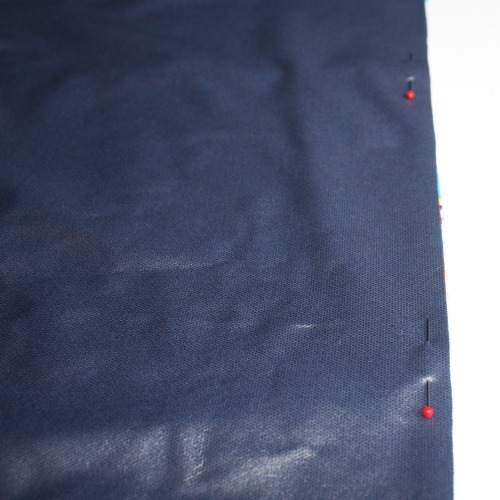 By understitching the lining to the seam allowance on the rain jacket I made, it was then a breeze to topstitch on the PUL without the risk of the lining peeking out. This is a good technique to use for any fabric but particularly with the slippery nature of PUL, it’s very helpful. I learned this the hard way with some modern cloth nappies I used for my first bub. If you use these products, the fabric will lose its waterproof properties (trust me – I ruined $200 worth of MCNs! ).